The wonderful thing about being a Forex Trader is that you get to pick your own hours. The markets are open for 24 hours a day, Monday to Friday, so it doesn't matter where you are, how early you like to wake up or go to sleep, the market will be open and ready to trade. That being said, there are certain times that are better for trading than others while there are also certain times that you could be better off focusing on particular currencies or pairs. The Sydney session is the first one to open on a Monday morning (or Sunday depending on your timezone). Note that there are differences in the times based on Summer and Winter. This is the case for most of the trading sessions due to Daylight savings (DST). The Sydney session is very close in time to the Tokyo session. The action isn’t only limited to Tokyo or Japan. Transactions are made in other financial hotspots like Hong Kong, Singapore, and Sydney. The main market participants during the Tokyo session are commercial companies (exporters) and central banks. Liquidity can at times be very thin during this session making trades hard to come by. Asia Pacific currency pairs like AUD/USD and NZD/USD will usually see more movement than non-Asia Pacific pairs like GBP/USD during this session. Most of the action takes place early in the session when the main economic data is released. Due to these session crossovers and with London being such a key financial center, a large chunk of forex transactions takes place during this time. This results in high liquidity and potentially tighter spreads. Trends usually begin during the London session and typically continue until the beginning of the New York session. Trends can sometimes reverse at the end of the London session, as European traders may decide to lock in profits. There is high liquidity during the morning, as it overlaps with the London session. Most economic reports are released near the start of the New York session. As mentioned in my previous article on "The Best Currency Pairs", 85% of all trades involve the USD, so whenever big U.S. economic data is released, it has the potential to move the markets. Liquidity and volatility tend to die down after the London session closes. Friday afternoons in particular show very little movement. 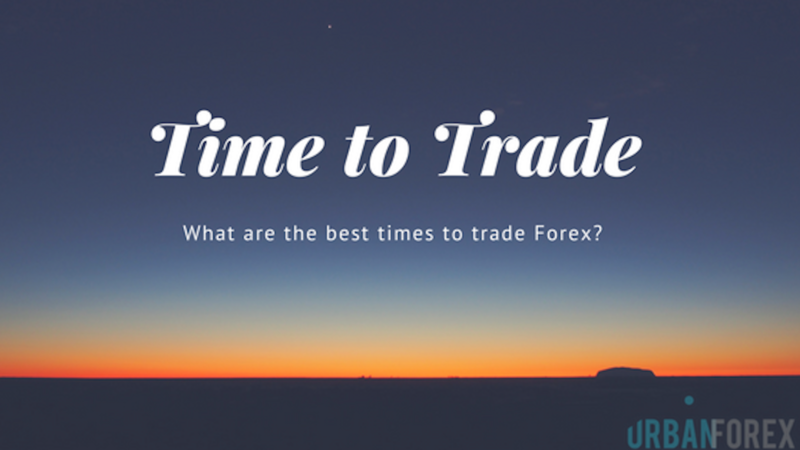 You can see that in between each forex trading session, there is a period of time where two sessions are open at the same time. 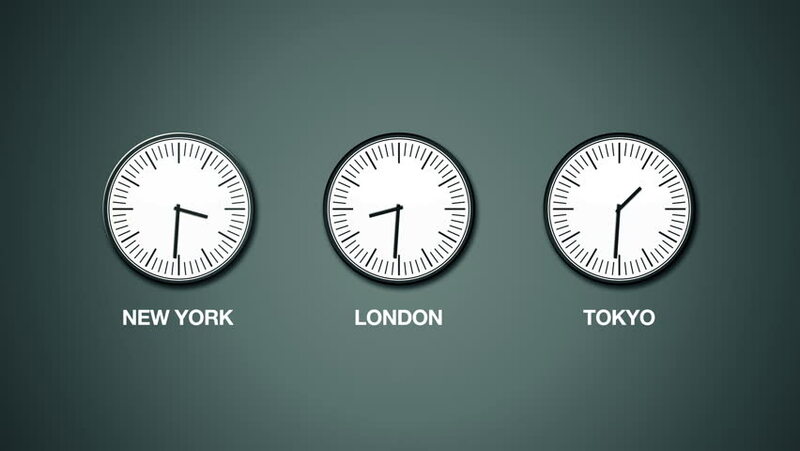 Example: During the summer, London closes at 16:00 GMT while New York opens at 12:00 GMT. This means there is a 4 hour period where both of these sessions are open. These are usually the busiest times during the trading day where you would expect to see more movement, and we like movement... movement is where the money is made! The overlap between Tokyo and London isn't always the most liquid however as in summer there is only a 1-hour crossover while during the winter there is no crossover. Tokyo does have a longer overlap with other European sessions such as Frankfurt, but there still isn't an awful lot of movement. The London/New York overlap is where the main action happens. 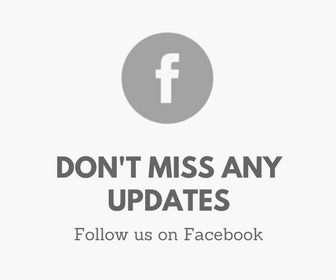 It is during this period where we can see some big moves, especially when news is released from the U.S. and Canda, while there can also be late news coming out of Europe. Check out this infographic which shows the average pip movement for certain pairs during the Tokyo, London and New York sessions. As you can see, the London session usually provides the most movement with GBP/JPY showing the most with an average pip movement of 151 pips during that London session. With the markets open 24 hours a day, any time is a good time to trade, but there are times that are still better than others. During the Sydney and Tokyo sessions, you would expect to see more movement from AUD, NZD, and JPY pairs so it is worth keeping an eye on these. As we enter the London session the European currencies such as the EUR and GBP will show more movement. Crosses with the JPY can be good while also the USD pairs will be showing more movement. Finally during the US session it basically a free for all. Most pairs are tradable during this session but again, it is recommended that you stick to the majors and the minors. What's your favorite time of the day to trade? Is it because it suits your schedule or because you like the market activity at that time?